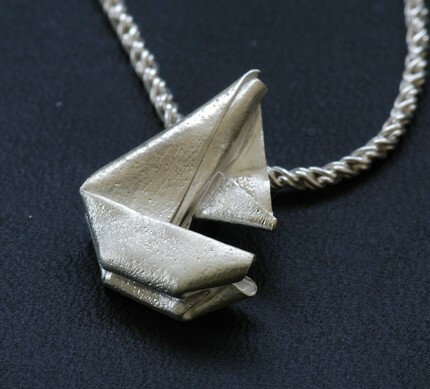 in japan, it is said that the person who receives 1000 paper origami cranes will be granted one wish. 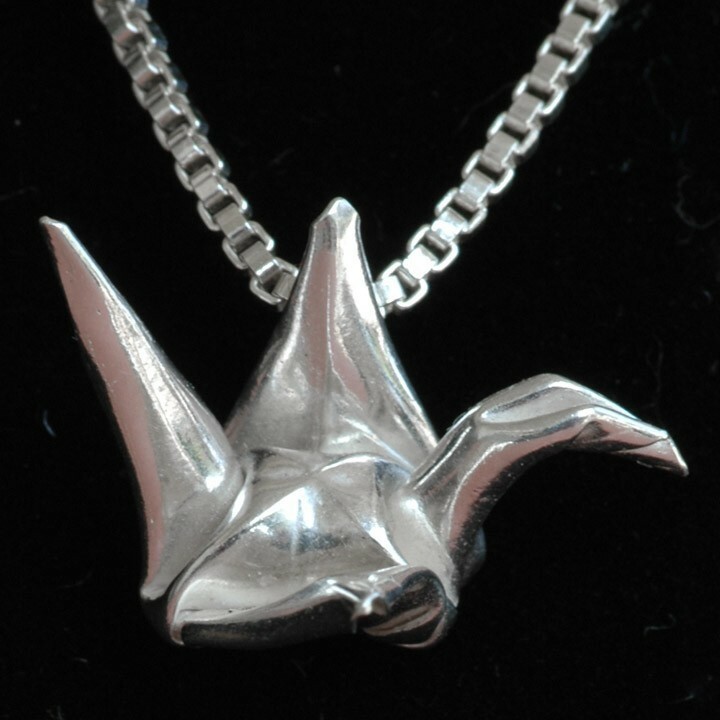 if it doesn’t look like that’s in your future, you might be happy wearing just one of hapa’s wondrous sterling silver ones. hapa has loved this sculptural art ever since she was a child, and was known to fastidiously follow her hello kitty origami books. 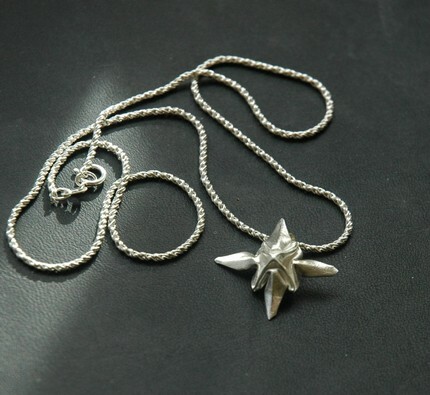 now, she makes metalgami. i am assuming that she has the most slender fingers on earth? 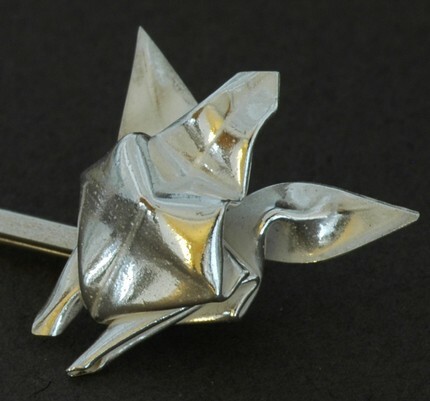 these are not cast pieces, but rather are cut and hand folded from sheets of silver, so no two are alike. 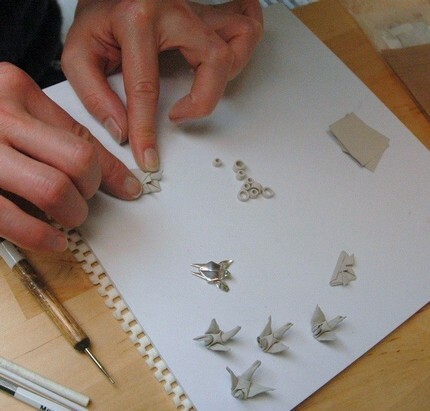 she originally designed the origami crane necklaces for her own bridal party gifts. now, we have the pleasure of having them too. check out her delicate designs here.